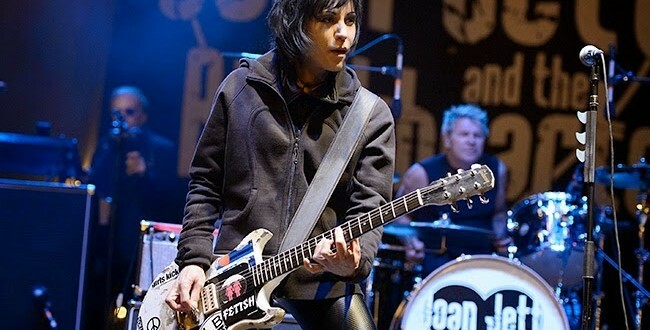 2015 Rock Hall Inductees: Joan Jett, Green Day, Lou Reed, Ringo Starr - Joe.My.God. Lou Reed, Green Day, Stevie Ray Vaughan and Double Trouble, Joan Jett and the Blackhearts, Bill Withers and the Paul Butterfield Blues Band will all join the class of 2015. Ringo Starr will be given the Award For Musical Excellence and 1950s R&B group the “5” Royales will receive the Early Influence Award. Artists are eligible for the Rock and Roll Hall of Fame 25 years after the release of their first album or single. Green Day, whose debut EP, 1,000 Hours, came out in 1989, are entering the institution in their first year of eligibility. Starr was inducted as part of The Beatles in 1988, though his three other bandmates have since entered the Hall of Fame as solo artists. And once again Chic, who have been nominated NINE times since becoming eligible in 2002, are shut out.